Married Name Her married name was Nobbs. Marie Thrun married William Nobbs. Robert E. Steiner was born on 3 February 1923 at Wisconsin. He married Elaine J. Blank, daughter of Walter Blank and Elsa M. Roecker, on 16 June 1946. Robert E. Steiner died on 27 June 1999 at age 76. Name Variation Alvin Schulz was also known as E. Alvin. 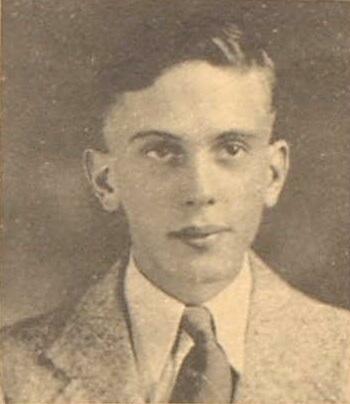 Alvin Schulz was the son of Otto A. Schultz and Elsie C. Gudenschwager. Alvin Schulz died between 1975 and 2009. Name Variation Arline E. Schultz was also known as Arlene. Name Variation Arline E. Schultz was also known as Schulz. Married Name Her married name was Luetkens. Arline E. Schultz married Emil H. W. Luetkens. Arline E. Schultz was born in 1915. She was the daughter of Otto A. Schultz and Elsie C. Gudenschwager. 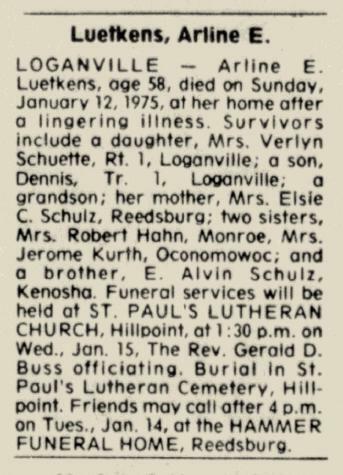 Arline E. Schultz died on 12 January 1975 at Sauk, Wisconsin, Arline (Schulz) Luetkens obituary. Emil H. W. Luetkens married Arline E. Schultz, daughter of Otto A. Schultz and Elsie C. Gudenschwager. Emil H. W. Luetkens was born on 14 September 1908. 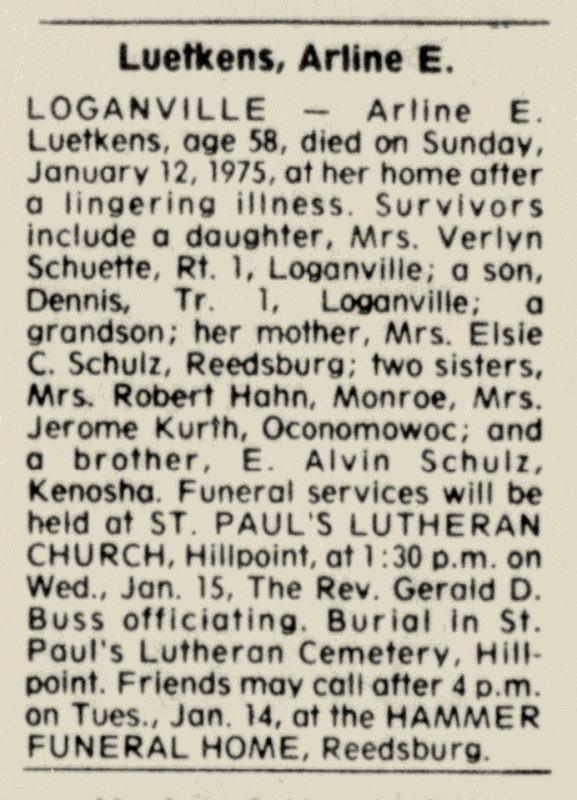 He died in November 1971 at age 63 Emil Luetkens obituary. Married Name 5 April 1947 As of 5 April 1947,her married name was Kurth. Vera Schulz was born on 5 April 1921 at Washington, Sauk, Wisconsin. Vera Schulz married Jerome Kurth on 5 April 1947. Vera Schulz died on 14 November 2009 at age 88 Vera (Schulz) Kurth obituary. Jerome Kurth married Vera Schulz, daughter of Otto A. Schultz and Elsie C. Gudenschwager, on 5 April 1947. Jerome Kurth died in 2004. Married Name 10 September 1943 As of 10 September 1943,her married name was Lichte. Rosemond Lida Wiese was born in 1925 at Wisconsin. She was the daughter of Eduard Wm Wiese and Ruth R. Rose. Rosemond Lida Wiese married Carl Edgar Lichte, son of Hartwig Lichte and Emma Westedt, on 10 September 1943. Rosemond Lida Wiese died on 15 December 2007. Carl Edgar Lichte was born on 7 September 1917. He was the son of Hartwig Lichte and Emma Westedt. Carl Edgar Lichte married Rosemond Lida Wiese, daughter of Eduard Wm Wiese and Ruth R. Rose, on 10 September 1943. Carl Edgar Lichte died on 2 December 2012 at age 95 Carl Edgar Lichte, age 95, of Reedsburg, passed away peacefully in his sleep, on Sunday, December 2, 2012, at the Sauk County Health Care Center in Reedsburg. He was born on September 7, 1917 in Loganville, the son of Hartwig and Emma (Westedt) Lichte. On September 10, 1943, Carl was united in marriage to the former Rosemond Wiese at the Zion Lutheran Stone Church in Westfield Township. He was a lifelong farmer in the Town of Westfield, Sauk County, until moving to Reedsburg in 1980. He enjoyed working in the field, hunting, fishing and playing cards, as well as telling jokes. Survivors include two sons: David (Donna) Lichte, of Loganville and Charles (John) Lichte, of Reedsburg; four grandchildren: Daniel (Gail) Lichte, of Baraboo; Denise (Matt) Peterson, of Reedsburg; Dennis (Becky) Lichte, of Reedsburg and Dale (Niki) Lichte, of Loganville; five great grandchildren: Rachel and Jack Lichte, Brock Peterson, Jake Lichte and Lindsey Lichte; a brother-in-law: Lester (Lerna Mae) Wiese, of Loganville; cousins, nieces and nephews. He was preceded in death by his wife, Rosemond, on December 15, 2007; his son, Gary Paul Lichte, on April 4, 1989; two brothers: Henry (Mildred) Lichte and Gerhard (Dawn) Lichte; his sister-in-law: Valera (Gerhart) Schuck and his brother-in-law: Edmund (Geraldine) Wiese. Funeral services will be conducted at 11:00 A.M. on Saturday, December 8, 2012 at St. Peter's Lutheran Church in Loganville with Pastor Christopher Miller officiating. Interment will be in St. Peter's Cemetery. Friends may call from 4:00 P.M. to 8:00 P.M. on Friday at the Hoof Funeral Home in Reedsburg and from 10:00 A.M. until the time of the service on Saturday at the church. The Hoof Funeral Home is serving the family. Gary Paul Lichte was the son of Carl Edgar Lichte and Rosemond Lida Wiese. Gary Paul Lichte died on 4 April 1989. Hartwig Lichte married Emma Westedt, daughter of Henry Johann Westedt and Anna Muchow. Hartwig Lichte was born circa 1880 at Wisconsin. Emma Westedt married Hartwig Lichte. Emma Westedt was born in September 1883 at Wisconsin. She was the daughter of Henry Johann Westedt and Anna Muchow. [S245] U.S. Federal Census 1900 U.S. Federal Census, by Ancestry.com, Year: 1900; Census Place: Washington, Sauk, Wisconsin; Roll: 1817; Page: 3A; Enumeration District: 0148; FHL microfilm: 1241817. Henry Lichte married Mildred (?). Henry Lichte was born on 25 March 1911 at Wisconsin. Henry Lichte died on 27 January 1985 at Riverside, California, at age 73. Mildred (?) married Henry Lichte, son of Hartwig Lichte and Emma Westedt. Mildred (?) was born on 12 July 1912 at Wisconsin. She died on 12 May 1997 at age 84. Name Variation Gerhardt Hartwig Lichte was also known as Gerhard. Gerhardt Hartwig Lichte was born on 4 January 1924 at Sauk, Wisconsin. Gerhardt Hartwig Lichte married Dawne E. Brady on 2 June 1951. Gerhardt Hartwig Lichte died on 23 November 1997 at Beloit, Rock, Wisconsin, at age 73 Gerhardt Hartwig Lichte, 73, of Beloit died Sunday, Nov. 23, 1997 in Beloit, Wis. He was born on Jan. 4, 1924 in the township of Westfield, Sauk County, Wis., to Hartwig and Emma (Westedt) Lichte. He matied Dawne Brady in Beloit, Wis. He served in the U.S. Army. He moved to Beloit in 1946 where he was employed by Fairbanks Morse until his retirement in 1986, and was a member of Fairbanks Quarter Century Club. He was a member of St. Paul Lutheran Church, where he served on the Church Council for two terms and was very active in the St. Paul's children's Summer Day Camp. He was also a member of the Vis De Cristo, distributor of communion to shut-ins, and served as a money counter. He is survived by his daughter, Laurel Lichte (special friend, Tom); son, Michael (Kathleen) Lichte; and granddaughter, Meghan of Roscoe, Ill; brother, Carl Lichte of Reedsburg, Wis., and numerous nieces and nephews. He was preceded in death by his wife in 1995; parents Hartwig and Emma (Westedt) Lichte and one brother, Henry of Reedsburg, Wis.
Funeral services will be Wednesday, Nov. 28, 1997, at 11 a.m. at St. Paul Lutheran Church in Beloit, Wis., with Pastor Charles Larson officiating. Visitation will be Tuesday, Nov. 25, from 7 to 9 p.m. at Rosman, Uehling, Kinzer Funeral Home, 1125 Cranston Road, Beloit, Wis. Burial will be in Rockton Cemetery, Rockton, Ill.
Gerhardt Hartwig Lichte graduated in 1944 at Reedsburg High School, Reedsburg, Sauk, Wisconsin. Name Variation Dawne E. Brady was also known as Dawn. Married Name 2 June 1951 As of 2 June 1951,her married name was Lichte. Dawne E. Brady was born on 29 June 1927 at Illinois. She married Gerhardt Hartwig Lichte, son of Hartwig Lichte and Emma Westedt, on 2 June 1951. Dawne E. Brady died on 16 June 1995 at age 67 Dawne E. Lichte, 67, of 826 E. Welty Ave., Beloit, died Friday morning June 16, 1995 in her home after a short illness. She was born June 29, 1927 in Rockford, the daughter of Joseph and Eva (Aspland) Brady. 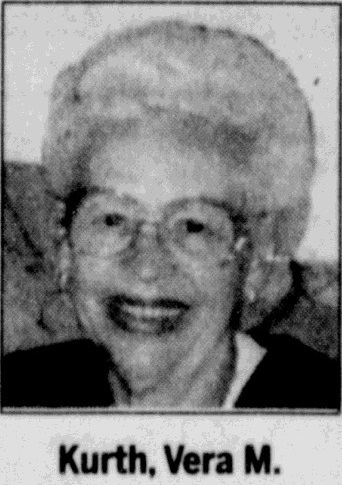 She married Gerhardt Lichte on June 2, 1951, in Beloit. She was employed at Colt Industries as a clerk, retiring in 1969. She was a member of St. Paul Lutheran Church where she was active in distribution of communion to shut-ins and the Golden Agers. She was also a member of the Quarter Century Club at Fairbanks-Morse. She is survived by her husband, Gerhardt; a daughter, Laurel Lichte of Beloit; and a son, Michael (Kathleen) Lichte of Roscoe. She is further survived by a granddaughter, Meghan, nieces, nephews, other relatives and friends. She was predeceased by her parents and two brothers. Funeral services are at 11 a.m. Tuesday, June 20, 1995, in St. Paul Lutheran Church, with Pastor Charles Larson officiating. Burial will be in Rockton Cemetery. Visitation is Monday from 6-8 p.m. at Rosman, Uehling, Kinzer Funeral Home, 1125 Cranston Road, Beloit. Edmund Wiese married Geraldine (?). 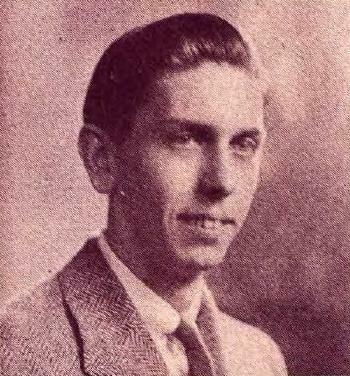 Edmund Wiese was born circa 1930 at Wisconsin. He was the son of Eduard Wm Wiese and Ruth R. Rose. Edmund Wiese died before November 2012. Married Name Her married name was Wiese. Geraldine (?) married Edmund Wiese, son of Eduard Wm Wiese and Ruth R. Rose. Name Variation Valera Adeline Wiese was also known as Valeria Adeline. Married Name 19 November 1947 As of 19 November 1947,her married name was Schuck. Valera Adeline Wiese was born on 30 May 1923 at Wisconsin. Valera Adeline Wiese married Gerhart H. Schuck, son of Carl Schuck and Ida Voss, on 19 November 1947. Valera Adeline Wiese died on 21 November 2012 at age 89 Valera A. Schuck, age 89, of Loganville, died on Wednesday, November 21, 2012 in the Sauk County Health Care Center. She was born on May 30, 1923 in the Town of Westfield, Sauk County, the daughter of Edward and Ruth (Rose) Wiese. On November 19, 1947, she was united in marriage to Gerhart H. Schuck. Valera was a lifelong member of Zion Lutheran Stone Church and a member of the Ladies Aid. She enjoyed gardening, sewing, working with her flowers and baking. Survivors include her son: Edward Schuck, of Loganville; her brother: Lester (Lerna Mae) Wiese, of Loganville; her brother-in-law: Carl Lichte, of Reedsburg; her sister-in-law: Caroline Schuck, of Reedsburg; nieces and nephews; other relatives and friends. She was preceded in death by her husband, Gerhart, on July 2, 1993; her sister: Rosemond Lichte; and her brother: Edmund Wiese. Funeral services will be conducted at 11:00 A.M. on Monday, November 26, 2012 at the Zion Lutheran Stone Church, rural Rock Springs, with Pastor Erich Hartenberger officiating. Interment will be in the church cemetery. The family will receive friends from 2:00 P.M. to 5:00 P.M. on Sunday at the Hoof Funeral Home in Reedsburg. In lieu of flowers, memorials to Zion Lutheran Stone Church or the Sauk County Health Care Center Activity Department would be appreciated. The Hoof Funeral Home is serving the family. Gerhart H. Schuck was born on 31 December 1914 at Sauk, Wisconsin. He was the son of Carl Schuck and Ida Voss. Gerhart H. Schuck married Valera Adeline Wiese, daughter of Eduard Wm Wiese and Ruth R. Rose, on 19 November 1947. Gerhart H. Schuck died on 2 July 1993 at Sauk, Wisconsin, at age 78. Anna Ella Minna Kaun married Ewald Henry Westedt, son of Henry Johann Westedt and Anna Muchow. Anna Ella Minna Kaun was born on 12 March 1894 at Sauk, Wisconsin. She died on 26 December 1981 at Wisconsin at age 87. Married Name Her married name was Neumann. Name Variation Elsa Westedt was also known as Elsie. Elsa Westedt married Herman Neumann. Elsa Westedt was born in March 1886 at Wisconsin. Hubert Westedt married Rosena Wiese. Hubert Westedt was born in January 1888 at Wisconsin. He was the son of Henry Johann Westedt and Anna Muchow. Albert Westedt was born in March 1890 at Wisconsin. Albert Westedt married Martha Schwarz, daughter of William F. Schwarz and Auguste Kroch, on 19 October 1927 at St John Lutheran Church, Reedsburg, Sauk, Wisconsin, sisters marrying brothers; double wedding with his brother Edgar. Edgar Westedt was born in May 1894 at Wisconsin. Edgar Westedt married Minnie Schwarz, daughter of William F. Schwarz and Auguste Kroch, on 19 October 1927 at St John Lutheran Church, Reedsburg, Sauk, Wisconsin, sisters marrying brothers; double wedding with his brother Edgar. Clarence Westedt married Alma Brandt. Clarence Westedt was born in June 1896 at Wisconsin. Rosena Wiese married Hubert Westedt, son of Henry Johann Westedt and Anna Muchow. Victor P. Westedt was born on 28 September 1927. Victor P. Westedt died on 29 November 2012 at age 85 Victor P. Westedt, age 85, of Reedsburg, died on Thursday, November 29, 2012 in the Sauk County Health Care Center. He was born on September 28, 1927 in the Township of Washington, Sauk County, the son of Hubert and Rosena (Wiese) Westedt. Victor was a 1945 graduate of Reedsburg High School. He then attended seminary for one year. Victor was a veteran of the Korean Conflict serving with the U.S. Army. He worked at Grede Foundry for over thirty years until his retirement. Victor enjoyed the arts, music and reading always looking to enhance his knowledge whatever the subject at hand. He was a faithful and active member of Faith Lutheran Church. Victor was the last surviving member of his immediate family. He is survived by nieces, nephews; other relatives and friends. He was preceded in death by his parents; three brothers: William, Elmer and Allen; and one sister: Dorothy Fick. Funeral services will be conducted at 11:00 A.M. on Tuesday, December 4, 2012 at Faith Lutheran Church in Reedsburg with Pastor Steven Neyhart officiating. Interment will be in St. Paul's Lutheran Cemetery at Hillpoint. There will be a visitation from 10:00 A.M. until the time of the service on Tuesday at the church. Memorials to Faith Lutheran Church would be appreciated. The Hoof Funeral Home is serving the family. 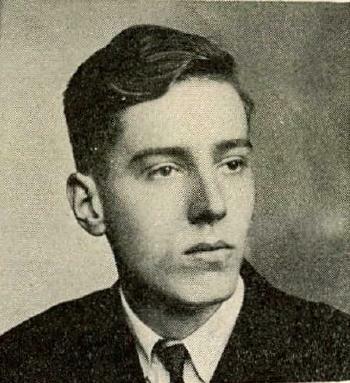 Victor P. Westedt graduated in 1945 at Reedsburg High School, Reedsburg, Sauk, Wisconsin. Name Variation Willie H. Westedt was also known as William. Willie H. Westedt married Ruth K. Schulte. Willie H. Westedt was born on 12 April 1917 at Wisconsin. Willie H. Westedt died on 25 September 1987 at Illinois at age 70. Willie H. Westedt graduated in 1935 at Reedsburg High School, Reedsburg, Sauk, Wisconsin.